i love menu and meal planning. it makes shopping so much easier, and having it written out on the fridge so everyone knows what we’re eating every night is so much better than hearing “what are we having for dinner?” over and over again. it also helps me to know what kind/how much meat to pull out of the freezer to defrost in the fridge the night before. 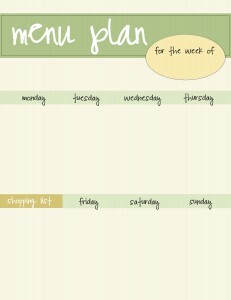 click to download green menu planner. click to download red menu planner. 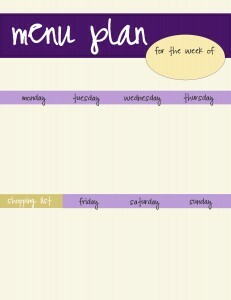 click to download purple menu planner. click to download orange menu planner. 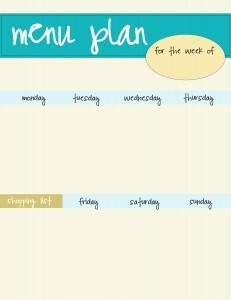 click to download blue menu planner. here’s another meal planning template you can download for free! it basically has the same stuff as the one above, but uses a different layout. AND it makes it easier to plan out EVERY meal – breakfast, lunch, & dinner (B, L, D) so you won’t miss out on a single thing when you go shopping this week. 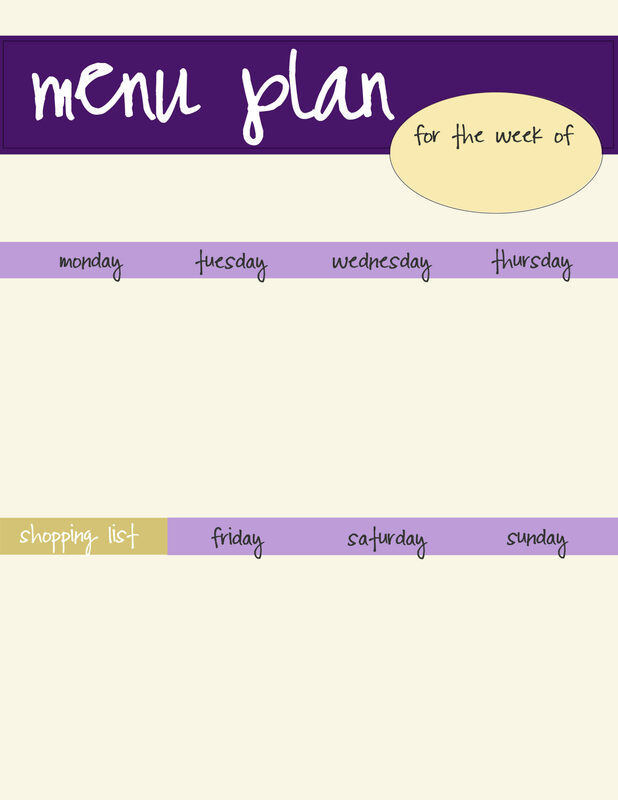 here is yet another free weekly menu planner for you to print. it’s available in 9 different colors so hopefully you find one to suit your fancy. click the link below to download the .zip file and then print off your favorite one! 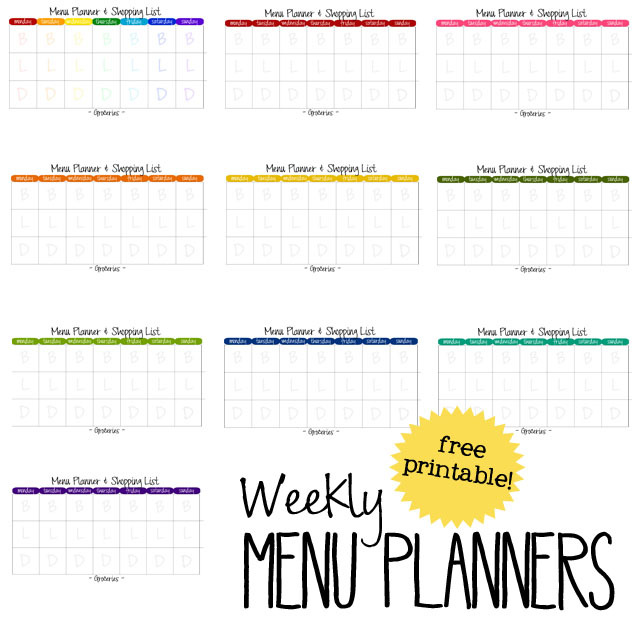 click here to download the .zip file for these colorful weekly menu planners. 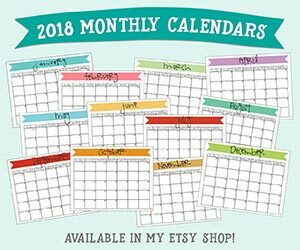 This menu planner is great! I was wondering what program you used to create it. I simply wanted to add a few lines so I could clearly separate Breakfast, lunch and supper. if you had a soft copy that you could send that would be fantastic. Thanks so much and Merry Christmas! I wanted to do the same thing. Would it be possible to get a copy as well? My email basically said that I don’t give out the raw files/templates. Thanks for understanding! Hi Katie, thank you for putting this up for moms like me who have a lot of people to feed everyday. Could you send the program you used so I can add space to Sundays as that day is like Thanksgiving every Sunday at our home. Love your BLD meal planner, but is there any way to get it set up as a regular week; Sunday as the first day of the week? Thanks! Thanks, Annette! Right now I’m swamped with other projects, but I may be able to switch it at some point. Thanks for the suggestion.